The country’s largest education union will officially oppose “any reprisals” against pupils who walk out of school to campaign against climate change. 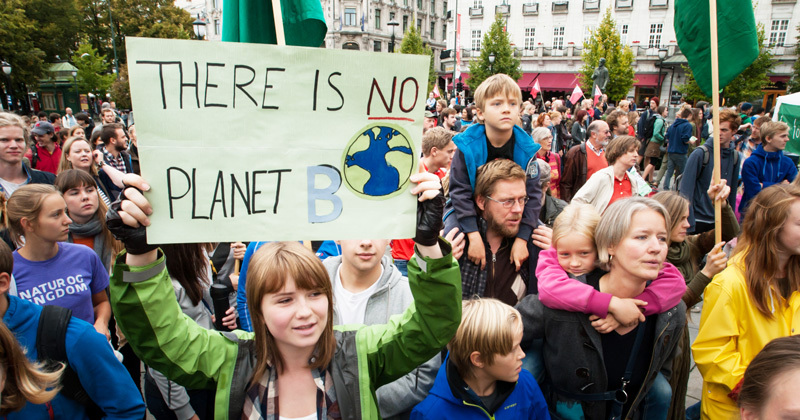 At its annual conference in Liverpool today, the National Education Union voted to “stand in full solidarity” with pupils who strike or protest against climate change, and oppose punishment such as detentions and exclusions for those who do. However, the final decision on whether to penalise pupils for absence lies with school leaders, so it is not clear how much of an impact the NEU’s opposition to reprisals will have on the ground. The decision today also means the NEU will support future pupil action by offering trade union speakers, stewards and organisational support. The union will also campaign for climate change issues to be integrated into the curriculum. The motion puts the union at-odds with leadership organisations, which have repeatedly called on pupils not to leave school to take part in climate marches or protests. Headteachers have expressed safeguarding concerns in relation to recent Friday walk-outs coordinated across the country. “Climate change is a public health emergency and NEU members and the children they teach are at the forefront of this crisis. Young people are angry that those in power are taking away their future,” said Kevin Courtney, the NEU’s joint general secretary. “They are showing their deep concern about the climate crisis and are seeking to shape and influence decisions taken now which will impact on their future, including through the Youth Strikes for Climate. While I’m not in favour of reprisals for children protesting on Fridays, the strikers should make up any missed work. Better still, put their energies into practical ways of reducing man-made emissions.